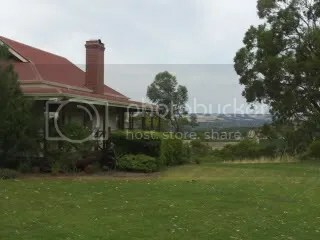 This cellar door and restaurant have a deserved reputation for quality of service, great regional food and McLaren Vale wine plus a glorious view of McLaren Vale. The winery and the Osborne family are local icons and from a purely personal perspective with a long departed family member being a part of my beloved Norwood Football Club Hall of Fame – what more could you ask for! There are so many wines available from the d’Arenberg Cellar Door that I will review the wines tasted from the one cellar door visit in 2 blog posts. This one has the whites, sparkling and fortifieds. Part 2 will have the reds tasted. McLaren Vale seems to be doing OK with this variety and this is no exception. The nose shows the hotter vine characteristics of tropical and passionfruit. The palate has an overall fruit sweetness (not sugar sweetness) with lots of stone fruits, tropical overtones and finishes well with good acid. Bring on a Sunday lunch with friends for a bottle or 6 of this wine. McLaren Vale is not known for producing quality Riesling – d’Arenberg is not known for keeping to conceptual rules. The vineyard for this wine can be seen from the cellar door. The wine is just starting to move into a “sleeping phase” where all the good Rieslings come out the other side being a wonderful concoction which is nothing like what the original wine was like. The wine is starting to show some kerosene aromas with the palate showing citrus (mainly limes). I found this wine surprisingly good and all I could think of while trying it was a big plate of Salt & Pepper Squid. The somewhat closed nose opens up to a tropical palate with a real nectarine back palate that finishes with a wonderful acid packed length. I have not had a lot of experience with this variety but I enjoyed this wine and consider it a definite food wine. I would try this with a farmhouse chicken casserole with lots of leeks, capsicum and carrots with a big side of creamy mashed potato. This wine was everything I expected. A wine driven by ripe apricots and lots of acid. I suspect the wine would divide the d’Adenberg followers – some will really like this wine and others would not touch it with a barge pole. And for me – well you will just have to guess. For those that like the wine should think about a vegetable lasagna to accompany this offering. Peaches on the nose, peaches on the palate, light integrate wood overtones including a creamyness on the back palate. An enjoyable lighter style chardonnay that is worthwhile checking out while you are eating Alfredo pasta style dishes. Now this chardonnay is a step up in quality. The nose is somewhat woody with a mouthfull infusion of peaches and cream and a long long acid length. I was surprised that there was no Malolactic Acid fermentation as the wine was quite creamy. this says to me good fruit integrated with wonderful oak. This has enough strength to go with a Chicken Kiev. Well what a pleasant surprise. I wondered why a Viognier was last on the list. Well some of this wine has been through a barrel ferment and the complexity of that component comes through is layers of stone fruit, toasty, yeasty and again a long acid finish. A robust wine that would go well with a couple of more years of cellaring. If you had to drink it now then try a creamy moussaka – there is enough flavor and acid to cut through classic. Readers of the Lonely Grape will realise that I am a sparkling red fan. I have had this wine before and thought it was too sweet – probably to overcome the things that Chambourcin variety lacks, but I though I should try this to review for the blog. The nose indicated sweet fruit and palate was also sweet, with some oak influences and an almost candy like finish. A pleasant drink but to sweet for me. I understand that the wine is a good seller from the cellar door once people try the wine. As always try a sparkling red with roast turkey served with cranberry sauce. I have had the pleasure of trying some d’Arenberg Vintage Fortifieds and I was looking forward to this one. My recollection indicated these were not the same wines I tasted at the McLaren Vale Wine Show tasting as this wine did not quite have the depth I remember. There was the expected alcohol tingle on the nose with licorice dominance and brandy overtones. The palate was softer than expected with lots of licorice and a hint of plums on the finish. Surprisingly approachable now and could see the next decade with ease. Please pass the vintage cheddar and water crackers with a glass of this one. With the wonderful tawny colour comes expectation and making my mouth water with expectation. Boy was I not dissappointed – with a nose of fruit cake and the pleasant alcohol tingle. The palate is immediately covered in a viscous mix of nuttyness, fruit cake and raisins. The mouth is coated for what seems like an age – what a joy. After dinner consumption is suggested. This entry was posted in Mclaren Vale, wine and tagged Chardonnay, Mclaren Vale, McLaren Vale Wine, Viognier, wine, wine McLaren Vale. Bookmark the permalink.